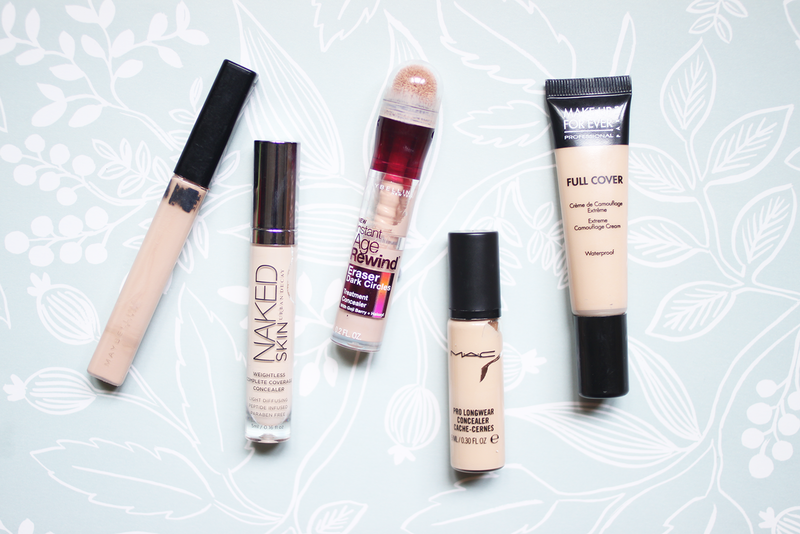 I can't explain why but I really enjoy trying out different concealers and I found it pretty difficult to narrow my favourites down to just 5. For me these tend to be good all rounders and I really enjoy using each of them. I'll start with the drugstore options first - the Maybelline Age Rewind (in Fair) gets talked about a lot and it's for good reason. Some people have an issue with the little sponge applicator and think it's unhygienic, but I can assure you I've never come close to getting an eye infection or breaking out under my eyes because of this concealer so I wouldn't let it worry you too much. Plus the sponge applicator, although a bit weird and certainly unique to this product, actually applies and sheers out the products really, really nicely. I can just sweep it on and lightly pat it in with my finger and I'm done, so it's one of the quickest to apply of any that I own. I'd say it's a light-medium coverage concealer, not really enough to cover up recent post acne hyper-pigmentation, but enough for dark circles and it never looks cakey or heavy under they eye. I find the Maybelline Fit Me Concealer is great for under they eyes as well as all around the face, it's more of a medium coverage but it's got quite a thin formula that blends in easily and feels really light on the skin. I can't complain about this concealer except that I wish there was a better shade range as this shade (Fair, 15) doesn't really brighten up under my eyes too much, and shade 10 is actually darker than 15. Now the Urban Decay Naked Skin Concealer is one that's definitely light enough for my skin tone. I have the shade Fair Neutral and it's super pale and brightening for me, but I find it also works really well around the face too. It has a super pigmented, lightweight formula and blurring technology to help conceal imperfections with more than just coverage. I'm not sure how effective these ingredients are in a concealer but it's also formulated with peptides and hyaluronic acid which is a nice thought if nothing else. If you're going to splurge on a high end concealer I really think this is one to consider. I've talked about the Makeup Forever Full Cover Concealer (shade 1) on here before but this is a really great full coverage option. It's quite a thick cream in contrast with the other three I've mentioned, so I like to just pat a tiny bit over blemishes or areas of redness that I want to conceal with my finger or stipple it in with a small brush. If you have dry undereyes I wouldn't use this there, I personally find sometimes I can get away with it and sometimes I can't, but certainly it could work if you wanted to mix it with a little bit of your eye cream. You also get a massive 15ml of product so I can't imagine ever finishing the tube. 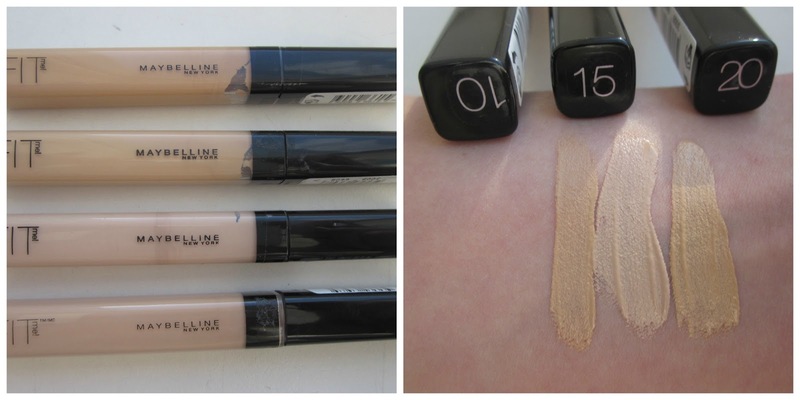 And last but not least is the MAC Pro-Longwear Concealer which is super high coverage in a thin, gel-like formula. A little goes a seriously long way with this product so my main issue with it is the packaging. I quite like the little glass bottle but the pump dispenses SO much product - even when I try to only half press it I still get enough concealer to cover my entire face if I wanted to, so I mostly only use this when I have a fair bit to cover or on a night out so I don't waste too much product. Aside from that the formula is excellent, it works well everywhere on the face and blends in seamlessly and I absolutely love it.